Nestled in the heart of prestigious Umhlanga Rocks, the Lazy Lizard Guesthouse offers private, upmarket accommodation for both the holiday maker and the discerning business executive. Our accommodation consists of two comfortable, one- roomed cottages which are set apart from the main house – each has its own entrance and sliding doors opening onto a secluded garden patio with a built in braai. Towels and linen are provided and our units are serviced daily (except for weekends and public holidays). Guests have the choice of self-catering or a continental breakfast served in the privacy of their room. Umhlanga Rocks, Kwa Zulu Natal, with it’s all year round mild weather and wide variety of things to do, is a popular holiday destination for both local and international travellers and offers something for everyone. Take a virtual tour of Umhlanga Rocks to find out more about our beautiful spot in Paradise. 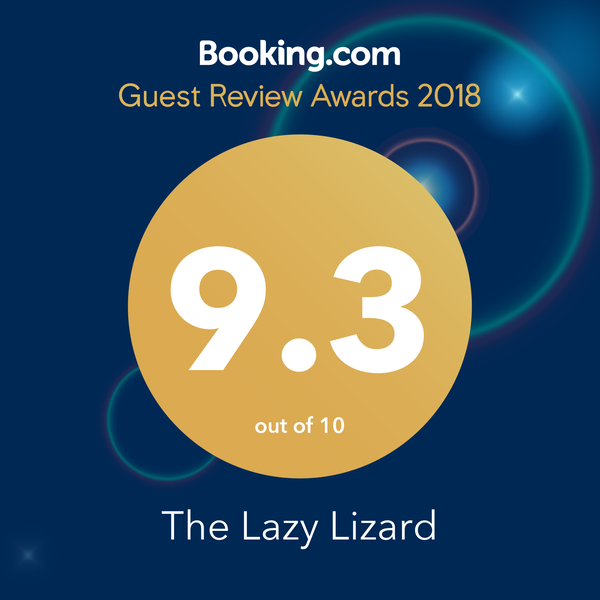 A relaxing, pleasant break awaits you at the Lazy Lizard – we look forward to welcoming you!